Automate actions like sending emails to a contact list, posting to social media, or syncing CRM and ERP. 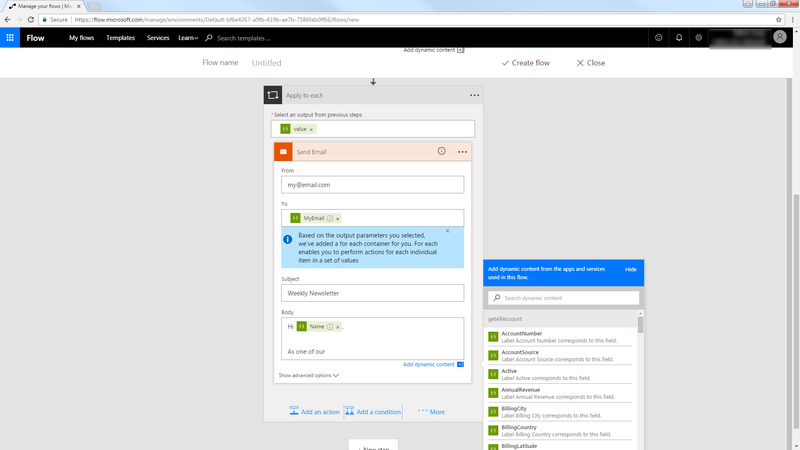 Microsoft Flow makes it easy to automate tasks that involve data from multiple systems, on premises or in the cloud. With the CData API Server and Elasticsearch ADO.NET Provider (or any of 140+ other ADO.NET Providers), line-of-business users have a native way to create actions based on Elasticsearch triggers in Microsoft Flow; the API Server makes it possible for SaaS applications like Microsoft Flow to integrate seamlessly with Elasticsearch data through data access standards like Swagger and OData. This article shows how to use wizards in Microsoft Flow and the API Server for Elasticsearch to create a trigger -- entities that match search criteria -- and send an email based on the results. After you deploy, provide authentication values and other connection properties by clicking Settings -> Connections in the API Server administration console. You can then choose the entities you want to allow the API Server access to by clicking Settings -> Resources. Set the Server and Port connection properties to connect. To authenticate, set the User and Password properties, PKI (public key infrastructure) properties, or both. To use PKI, set the SSLClientCert, SSLClientCertType, SSLClientCertSubject, and SSLClientCertPassword properties. The data provider uses X-Pack Security for TLS/SSL and authentication. To connect over TLS/SSL, prefix the Server value with 'https://'. Note: TLS/SSL and client authentication must be enabled on X-Pack to use PKI. Once the data provider is connected, X-Pack will then perform user authentication and grant role permissions based on the realms you have configured. You will also need to enable CORS and define the following sections on the Settings -> Server page. As an alternative, you can select the option to allow all domains without '*'. Access-Control-Allow-Origin: Set this to a value of '*' or specify the domains that are allowed to connect. Access-Control-Allow-Methods: Set this to a value of "GET,PUT,POST,OPTIONS". Access-Control-Allow-Headers: Set this to "x-ms-client-request-id, authorization, content-type". After determining the OData services you want to produce, authorize users by clicking Settings -> Users. The API Server uses authtoken-based authentication and supports the major authentication schemes. You can authenticate as well as encrypt connections with SSL. Access can also be restricted by IP address; access is restricted to only the local machine by default. 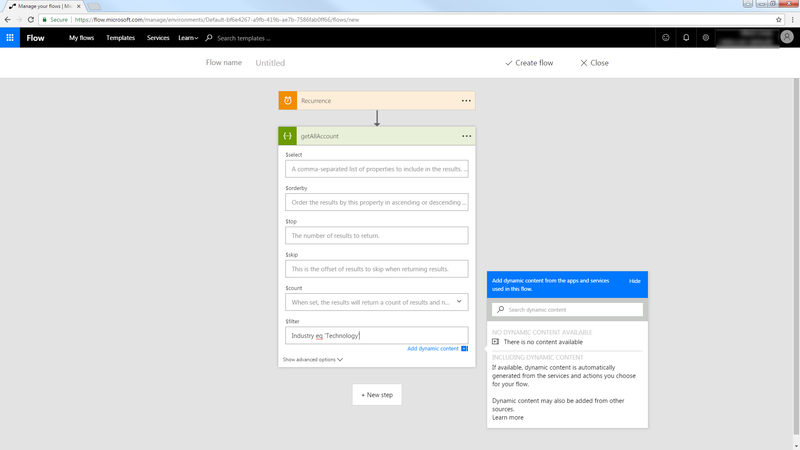 In Microsoft Flow, click My Flows -> Create from Blank. Select the Recurrence action and select a time interval for sending emails. This article uses 1 day. Add an HTTP + Swagger action by searching for Swagger. Select the "Return Orders" operation. See the API Server help documentation for more on filtering and examples of the supported OData. Add an SMTP - Send Email action. Enter the address and credentials for the SMTP server and name the connection. Be sure to enable encryption if supported by your server. Enter the message headers and body. You can add Elasticsearch columns in these boxes.